The world’s most effective weight loss program just got even more fun. With Lose It! and Snap It, you have everything you need to rock your goals in one app, the easy way! Simply upload your food pic to Lose It!, and Snap It will identify the foods it sees to get you the calorie count and nutrition information in a snap. Download Lose It! and try Snap It today! Getting started with Lose It! is easy. 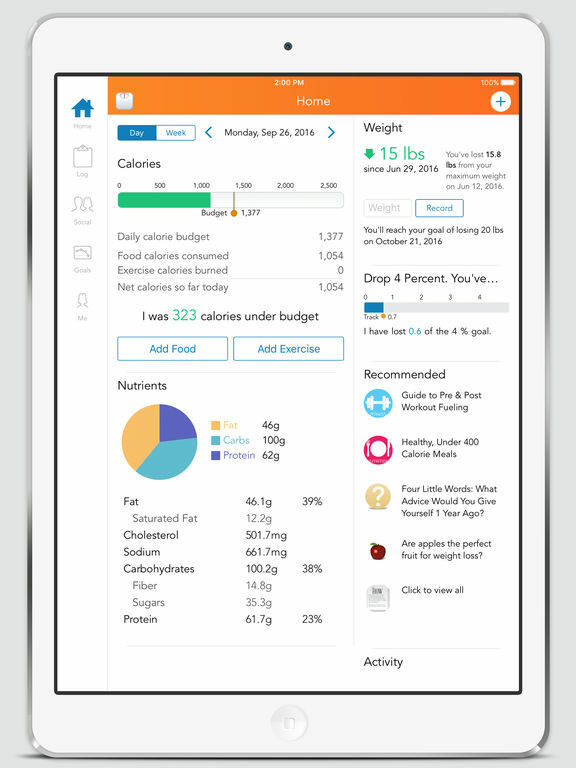 Simply download the app, tell us a little about yourself (or import your profile from the Health app) and we'll create a custom weight loss plan for you. Then start logging your food and exercise. There's no easier app-based weight loss program!! Lose It! helps you set your daily budget, plus goals for nutrients (carbs, fat, protein, fiber, sugar, etc. ), weight loss, exercise, blood pressure, water intake and more! You set the goals, we’ll help you with the plan to achieve them. Lose It! 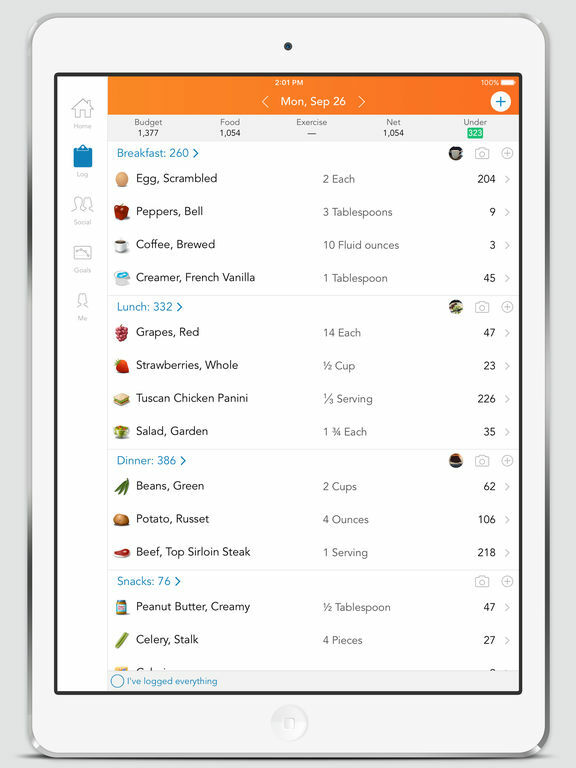 offers simple, easy-to-use tools for tracking what you eat and do. Just search it, scan it, or snap it! Search for foods and exercise types in our database of over 7 million items, scan your food package with our nifty barcode scanner, or snap a pic and let Snap It [NEW] do the rest. 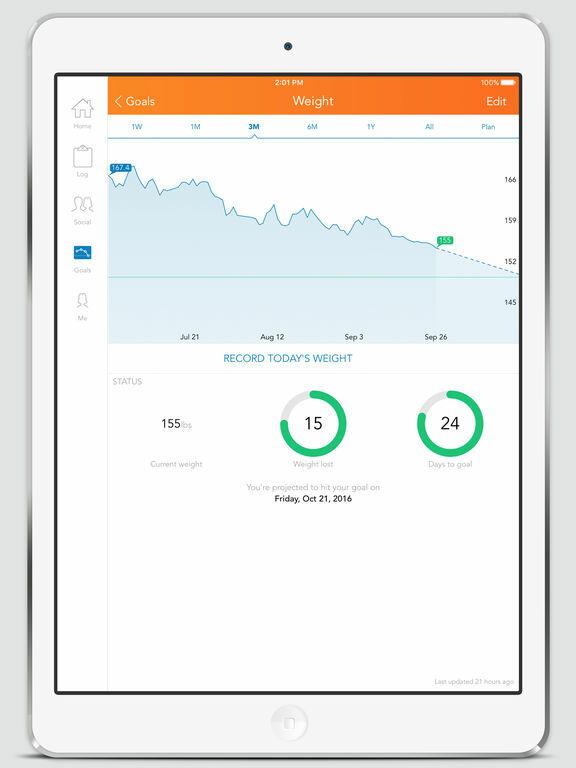 Want to go beyond calorie tracking to break through a weight loss plateau? Lose It! Insights help you learn more about your logs, like where your carbs and calories are coming from, plus the foods that help or hinder your progress. Lose It! Makes fitness tracking a breeze. Connect to the best health and fitness devices, trackers, and apps available to seamlessly track calories burned from exercise, steps, and more. In-person meetings are so last century. Access your support network from your fingertips through our social features. With Lose It!, you can connect to friends, family, and peers around the clock for the support you need, when you need it. ANSWER THAT BURNING QUESTION: HOW DO I LOSE WEIGHT? Introducing The How - the complete nutrition and fitness program designed to teach you how to be the healthiest version of yourself! Our comprehensive meal plan database and fitness library can be accessed directly in Lose It! Health & fitness is more fun with friends. Unlock your competitive side and achieve your goals with Challenges in Lose It! Whether it’s weight loss, exercise, or total wellness, Lose It! offers head-to-head, team, and group-based challenges. Compete with each other or work together toward a common goal. Join a public challenge or create your own! Some features require our premium subscription. Join today and you'll see how easy it is! Upgrading to Lose It! Premium is an automatically renewing, annual subscription at a regular cost of $39.99 per year. Payment will be charged to iTunes Account at confirmation of purchase. The subscription automatically renews unless canceled at least 24-hours before the end of the subscription. Your renewal price will remain the same as your original annual subscription price. Subscriptions may be managed and auto-renewal may be turned off by going to the user's Account Settings after purchase. Once you've purchased a subscription, no refund will be provided for any unused portion of the subcription.